Portals of recognition form along all Gaia grids. Specialties of Hue-Beings are accepted and requested. Storms of dissonance are quelled. Clandestine radiance is now recognized by hu-manity. Feather principals are connected in purpose. Forestations of Light unveil and display. Seminal cavities are filled with Higher Intention. 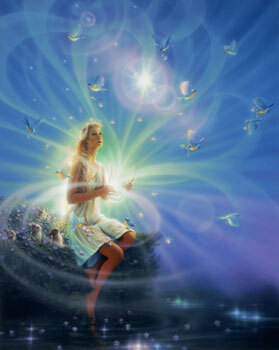 Inner Light brilliance expands to the many. Stepwise portions are viewed and consummated. Stevedores of Gaia come to the rescue. Stargates impend as Light streams coalesce. Perishables are released from Hue-man consciousness. Standards of Inner behavior present to all Gaia personnel. Flamboyants are noted, and removed. Levels of Ascendance encompass the Gaia energetics. Fortitudes of individuals create from the depths. Flashes of montanas are viewed. Streams of fluency come to the fore. Far sights are utilized as levels are transcended. Butters collect in the cartel. Classifieds come into the open, and are cleared. Starseeds open to the New Life. Coordinated streams of Light emanate from above and below. Elements of timelines release from prior pathways. Timeline combinings are no more. “True essence” is observed and experienced by the hu-being. The trudging paradigm is relinquished. This is an alternative posting for the GaiaPortal Gaia Energy messages site. Although it relates to Gaia energetics and potentials, we felt it desirable to communicate in this way as the “ÉirePort Group”. This group consists of Light Bearers, more precisely, “Frequency Carriers”, from various levels, each assisting in their own realms (some encompass several vibrational arenas). Our function, as the ÉirePort Group, is to communicate to those with eyes to see and ears to hear and hearts to comprehend the breadth and fullness of our messages. We are also here to alert the planetary Hue-Beings to imminent and important planetary changes, primarily in the “Energetic” sense. Such a moment is NOW. The rise in frequencies of this collective planetary body, called “Earth”, “Gaia”, etc., has, until this moment in the evolution of Gaia, been relatively constant. In other words, the increase has been similar to a straight line. This is about to change… drastically. And by “drastically” we mean “dramatically”, not in a manner which will cause any major adjustment to the planet’s 3D structure (such changes are occurring in a very “managed” way… we are, in large part, “The Managers”). But it also is affected by hu-being and Hue-Being consciousness. Such consciousness has been rising at an unexpectedly (to us, at least) high rate. This is, in the end, speeding up the awakening of all, and increasing the planetary vibration to such an extent, that a strongly “perceived” breakout is poised to occur. We cannot say when in the 3D timeframe this will occur, but it is very, very close. We can only suggest that each of you go within and ask your Higher Self how to best prepare for this “breakout” moment. It is coming. Blessings from the Father and the Mother of your precious planet, “Gaia”. Elements of institutions are viewed and surpassed. Light signs master the travelers.